A group of budding young snooker fans invited by the Paul Hunter Foundation enjoyed a special treat today before the Dafabet Masters semi-finals got underway. 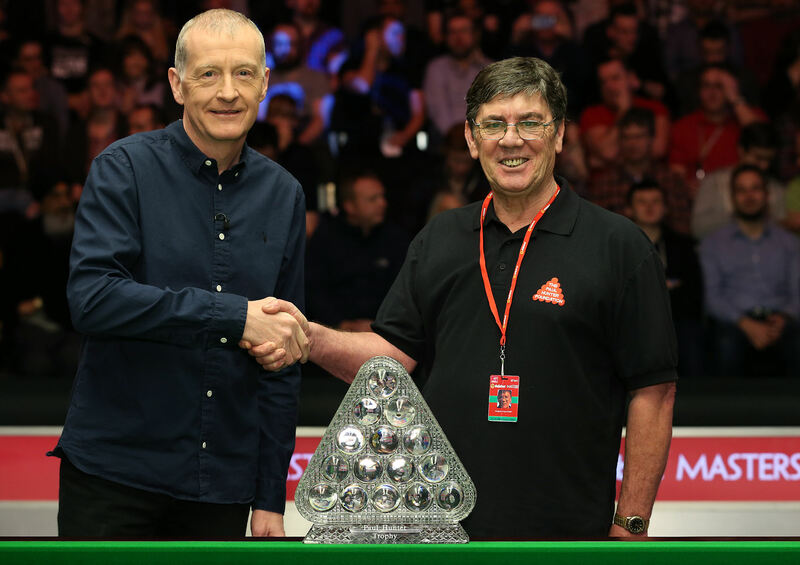 Paul Hunter’s father Alan led the group centre stage and he received the iconic trophy from snooker legend Steve Davis. The trophy has been named the Paul Hunter Trophy for the first time this year in memory of the three-time Masters champion who died in 2006. 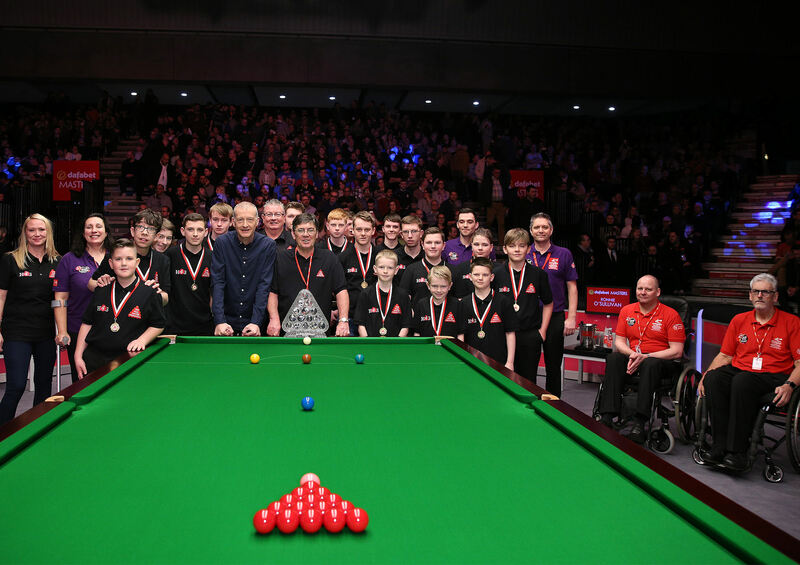 The Paul Hunter Foundation celebrated ten years of delivering snooker across the UK in October 2016. The Foundation has had donated and raised over £550,000 in its lifetime. The money has been used to achieve the foundation’s objectives set out by the Charities commission. • PHF has targeted deprived areas giving away 2750 cased cues. • PHF has worked in all communities reducing anti–social behaviour. community or schools and repaired over 100 tables. • PHF has supported budding young snooker players in Germany and Poland, and is actively helping introduce teaching into the school curriculum in Poland. • PHF has introduced many disabled players to snooker and actively supported their national competitions. The Foundation would like to thank everyone (far too many to mention) involved over the past ten years for the support, enthusiasm and dedication in undertaking Paul’s wishes that his charity would make a difference to their lives by getting able bodied, disadvantaged and disabled youngsters off the streets of the UK to play snooker. The renaming of the Masters Trophy will ensure that Paul’s legacy and achievements both as a player and through the Foundation will live on. Dimmed to a flicker, then extinguished flame. Foundation for the future years. Reflecting all he was – and could have been.